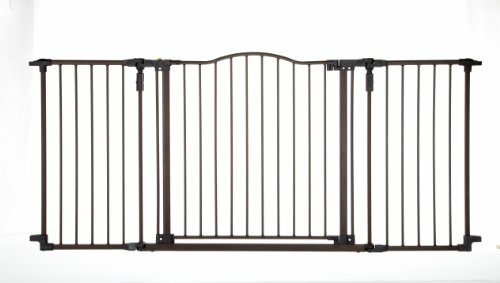 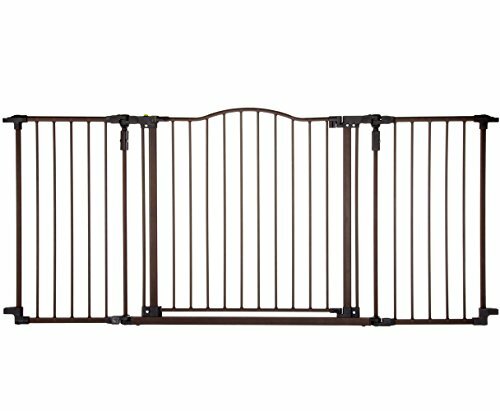 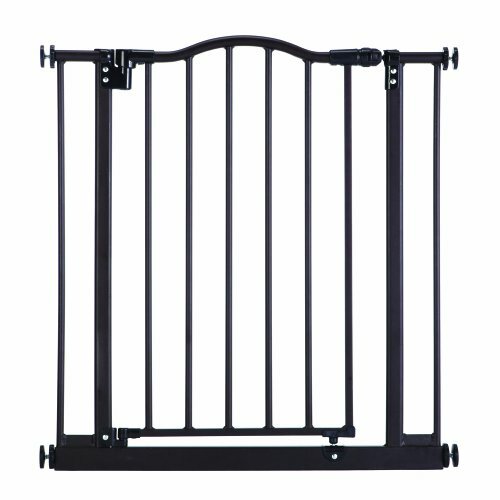 The 32” tall Position & Lock Tall gate that fits openings from 31-50” helps parents keep their children safe from common household dangers. 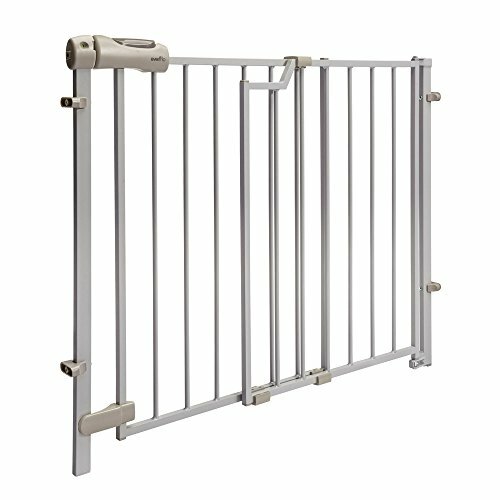 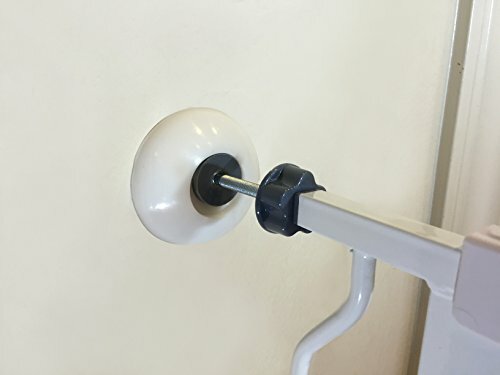 Not only is this classic pressure mount gate easy to install as there is no hardware required, it also helps prevent damage to your home due to the robust non-marring rubber bumpers. 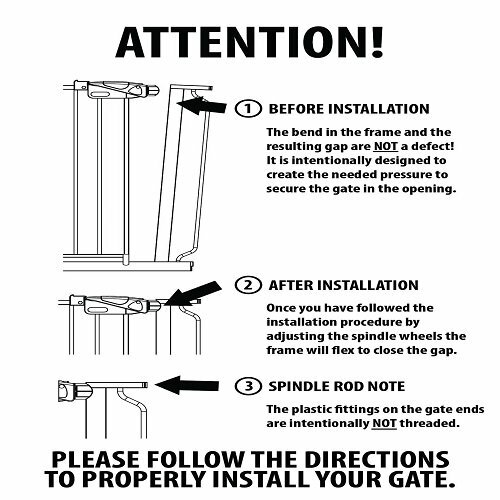 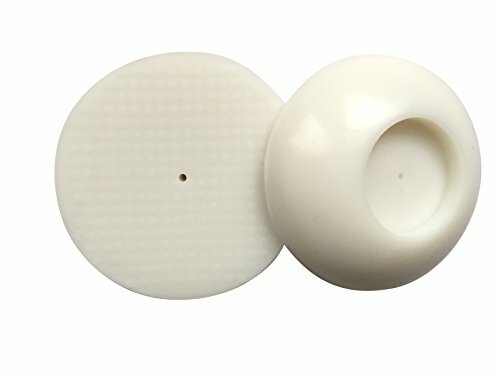 Also, the locking bar is marked and notched for easy installation and re-installation. 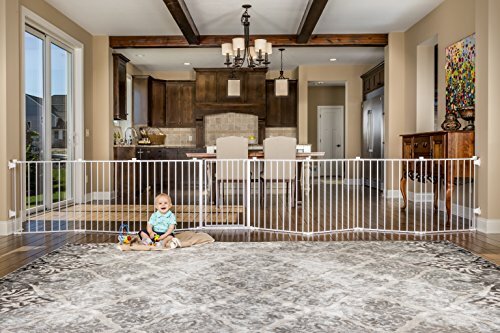 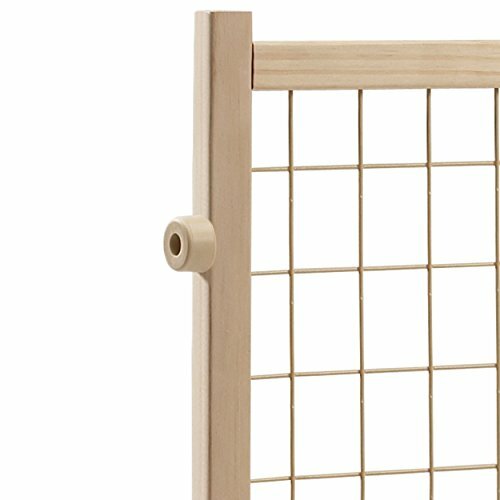 If a little extra height is what you’re looking for, this gate is a great choice as kids will have a hard time surmounting this obstacle. 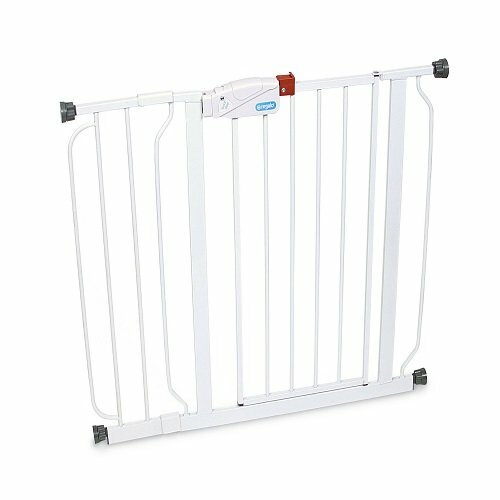 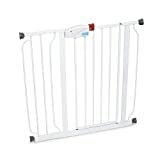 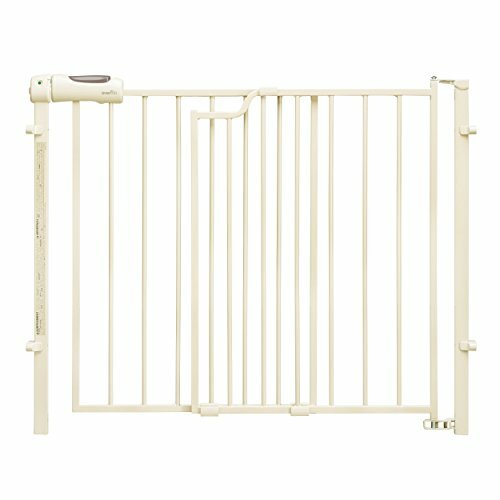 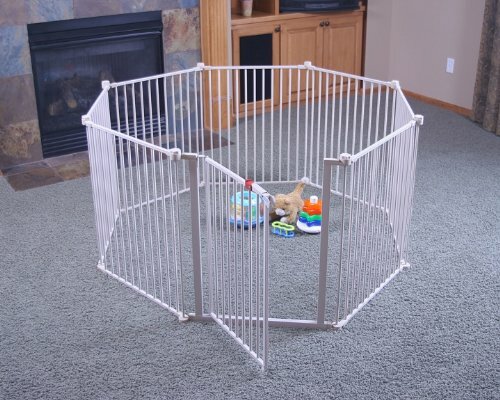 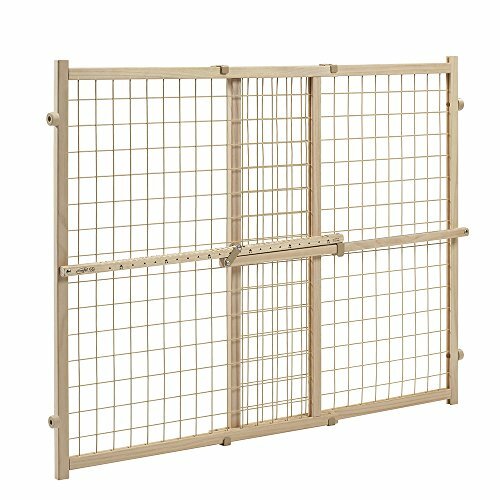 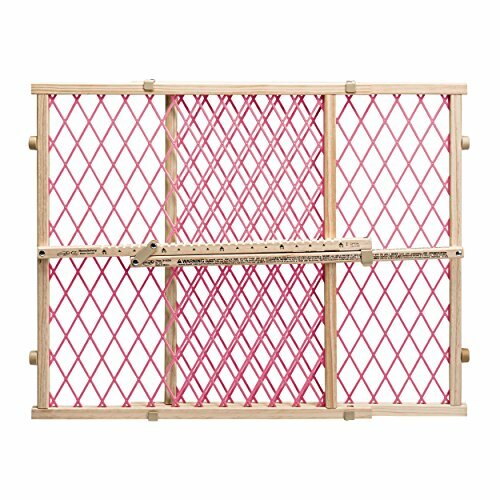 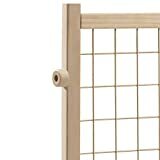 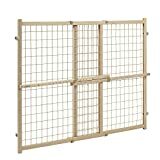 It also is wonderful to use with pets and dogs that can jump over smaller gates. 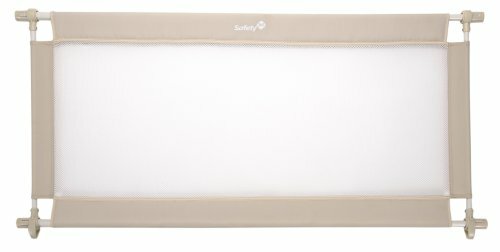 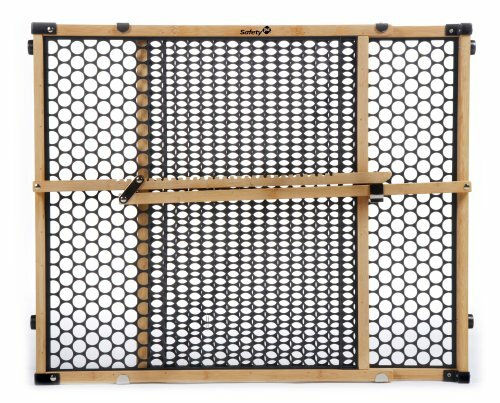 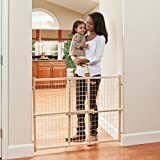 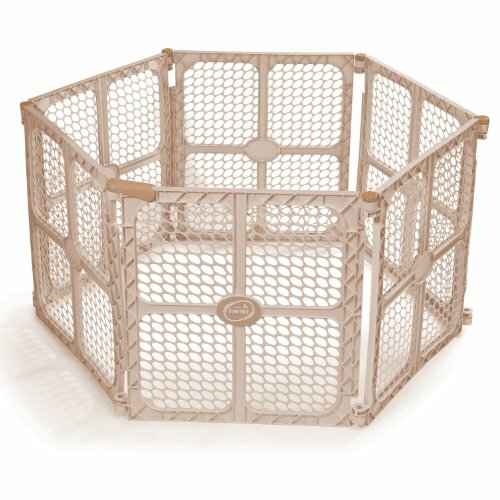 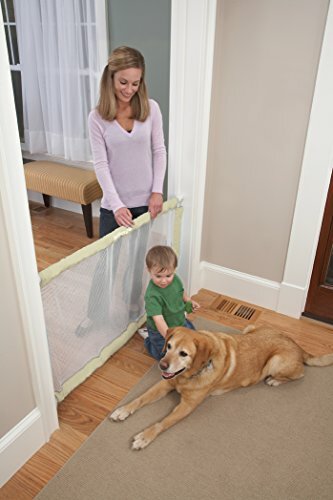 Finally, the sturdy wood frame and vinyl-coated mesh are durable and secure leaving you with a feeling of assurance that your child is away from harm.